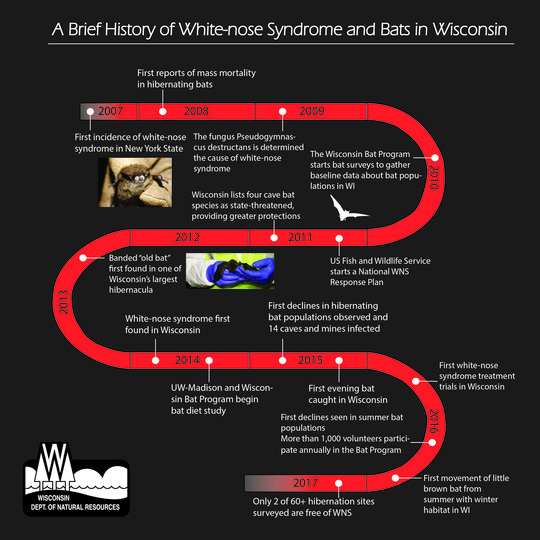 Since its emergence in 2014, white-nose syndrome (WNS) is devastating Wisconsin bat populations. Help from volunteer citizen scientists assisting with bat monitoring is helping Wisconsin DNR and other groups to assess the impact and, hopefully, save our bats. Bat monitoring has shown that in Grant County, a once thriving hibernating location, bat populations have decreased by 98.4 percent, according to the Department of Natural Resources. White-nose syndrome is caused by a white fungus that grows on infected bats while they hibernate. The nature of this infection wakes bats up from hibernation and burns up their stored energy. The infected bat then starves to death before winter ends. Little brown bats, northern long-eared bats and eastern pipistrelles are species that have been especially hard hit. The DNR’s main goal is to prevent extinction, and monitor bat health and trends. Scientists are studying bat survivors to learn where they are roosting and how they are adjusting to the WNS epidemic – but they need help. 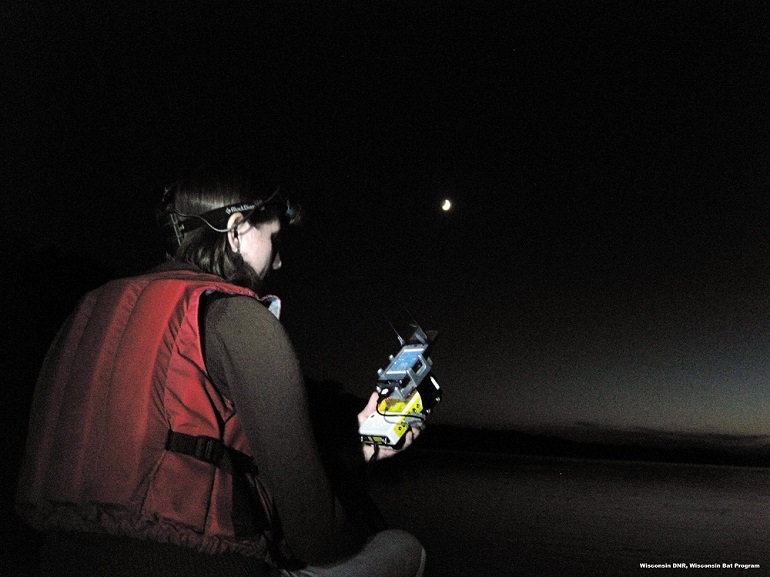 Citizen scientists provided vital information to the DNR in the past, and bat monitoring is a great way to continue the legacy of citizen-based monitoring in Wisconsin. “There’s still a lot we don’t know about bats, so citizen scientists who participate in bat monitoring have the potential to contribute greatly to bat science and management,” said Eva Lewandowski, the citizen-based monitoring coordinator for the DNR. Roost monitoring involves counting bats during their nightly emergence from their roost, or home. Volunteers will sit outside a roost for about 30 minutes on a summer evening, while counting bats. Roost counting helps scientists determine where bats are, what types of roosts they use and how they are reproducing. Acoustic monitoring involves recording echolocation with a bat detector. This data helps define presence, species diversity and relative abundance of all eight species of bats in Wisconsin. Volunteers travel along monitoring routes by car, boat or on foot – depending on the location. Jennifer Redell, a conservation biologist for the Wisconsin Bat Program, said different people find bats to be exciting for different reasons. If you’re passionate about science, like to meet new people and would enjoy the opportunity to experience Wisconsin’s natural nightlife, consider getting involved with the Wisconsin Bat Program. The Natural Resources Foundation also holds the Wisconsin Bat Conservation Fund, which was created in 2009 to provide permanent, sustainable funding to WDNR’s Wisconsin Bat Program as well as other bat conservation needs in Wisconsin. You can learn more about the Bat Conservation Fund and make a gift online.